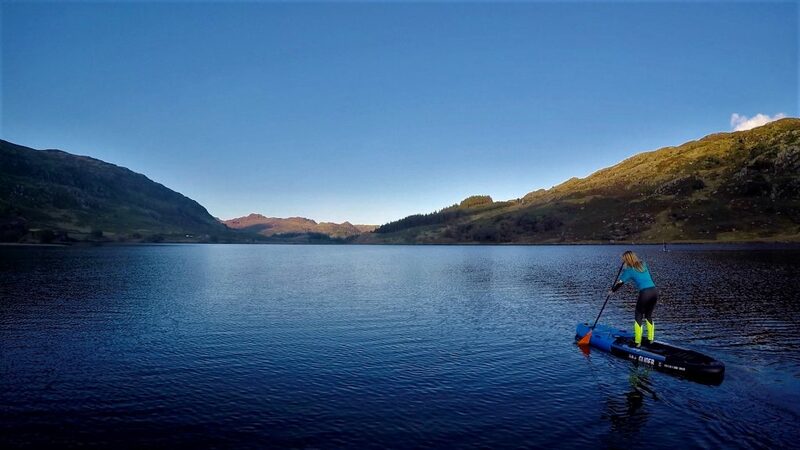 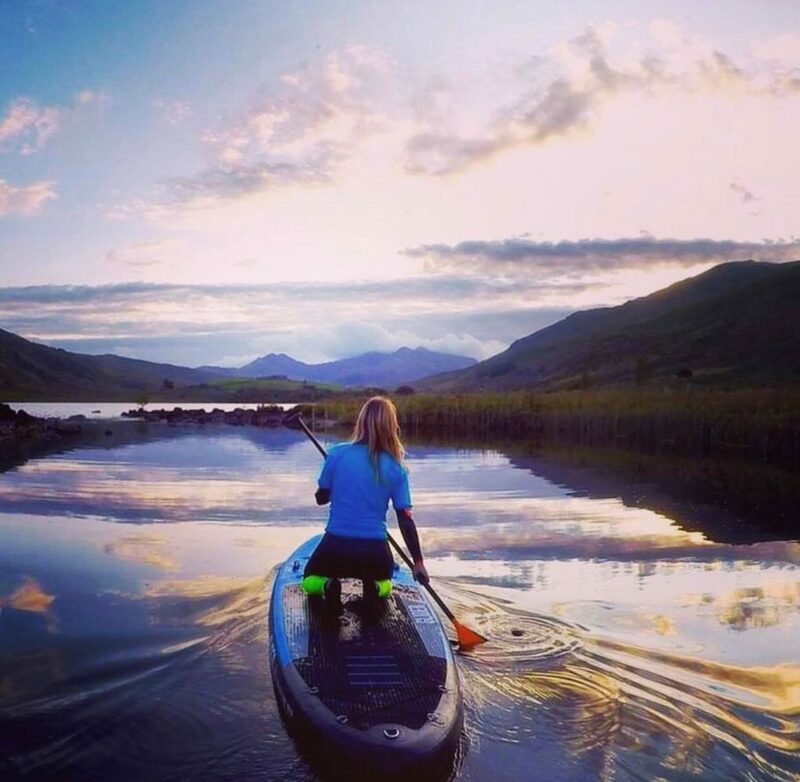 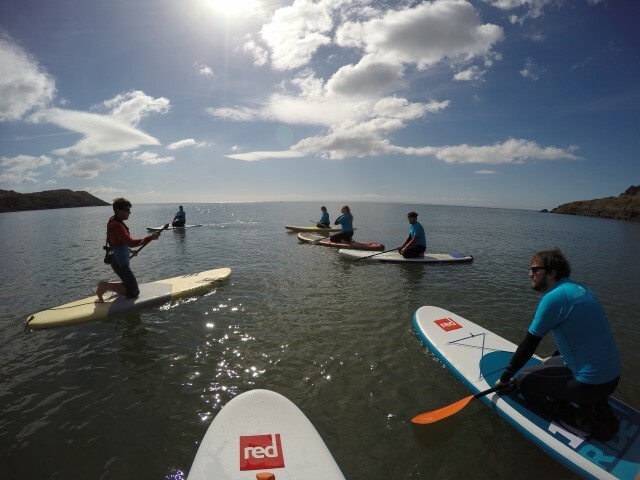 Using a large board and long paddle to glide over the water across the Welsh shore, whilst your core muscles keep you balanced on two feet is essentially what Stand Up Paddleboarding is. 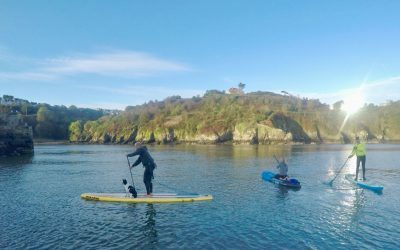 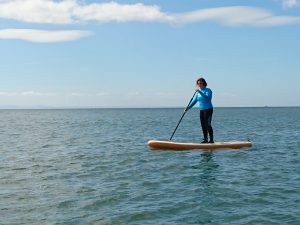 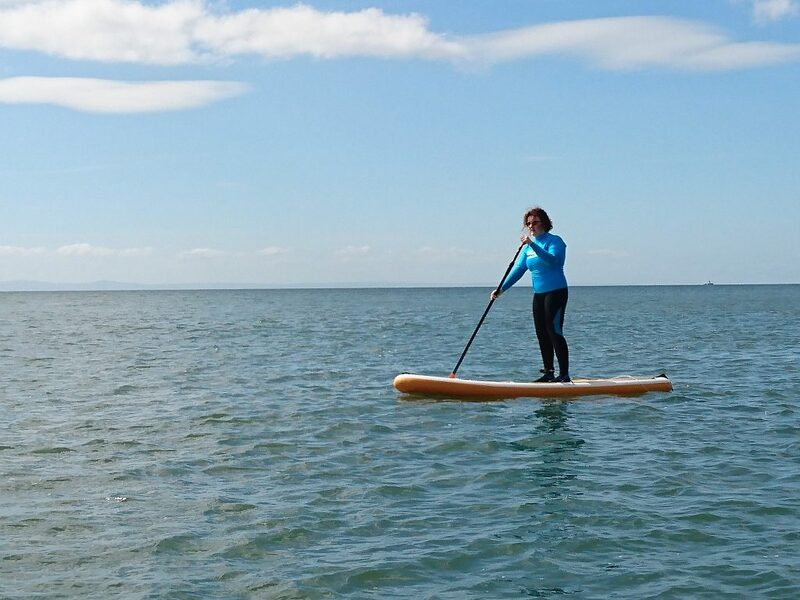 A fun and accessible watersport that connects you to the sea with a nice feeling of freedom about it, and it doesn’t take much to learn the basics of SUP either. 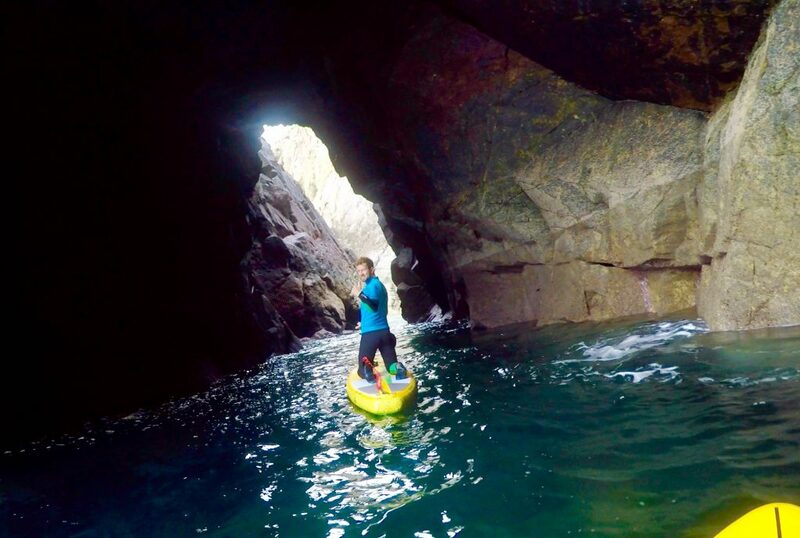 We also offer longer tours, for those experienced paddlers out there. 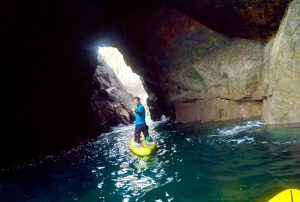 Visit the Pembrokeshire Coast National Park, the Gower, Snowdonia or even the Welsh capital Cardiff! 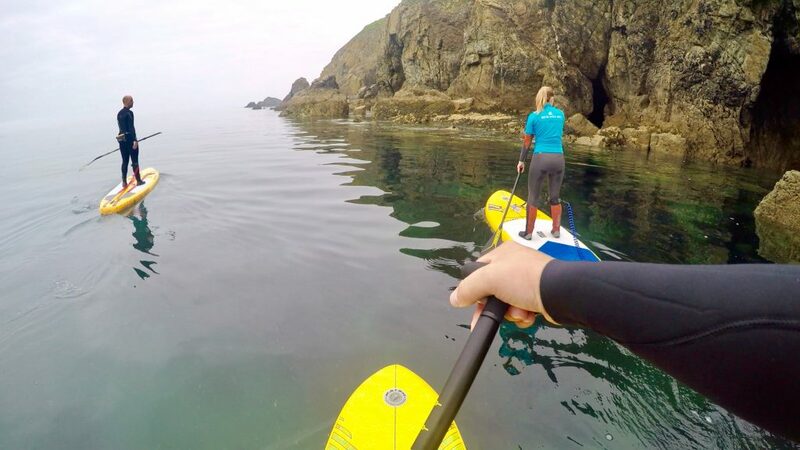 Explore the rugged coastline and find out what the country is famous for, it’s wilderness. 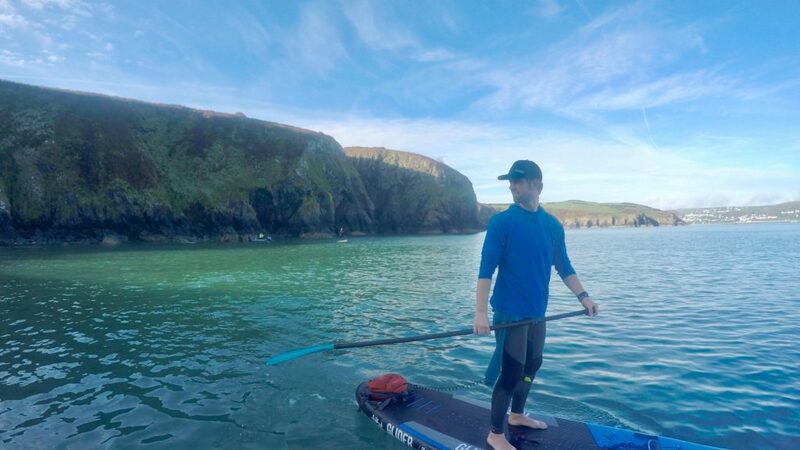 Seals are regularly spotted in some of these locations, another good reason to try SUP in Wales. Choose between Lake (beginners & experienced) or Coastal paddleboarding (experienced) sessions! 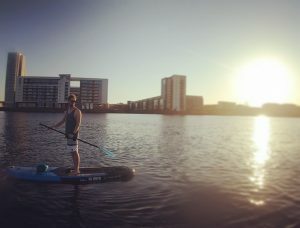 Explore Cardiff Bay & the river Taff on a paddleboarding tour! 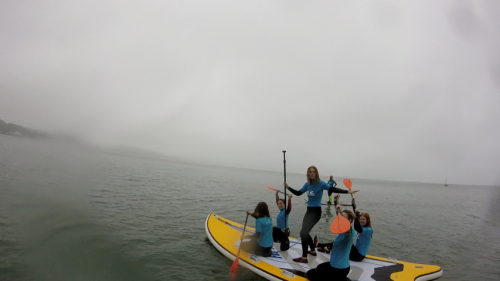 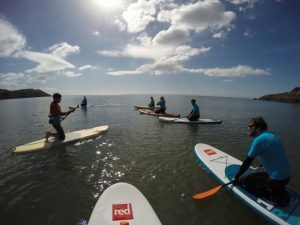 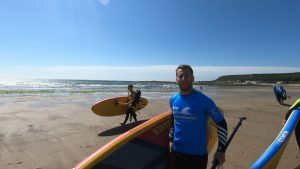 "SUP in Wales offers a really cool way to get up close to the impressive coastline we have here. 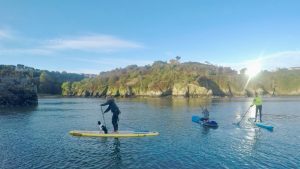 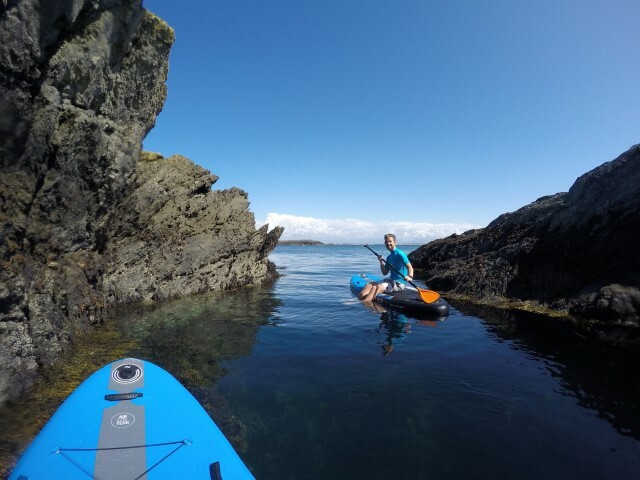 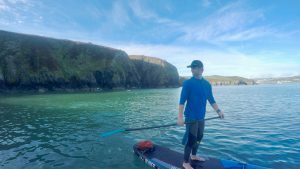 Picture a summer's day with the stunning views, a curious seal popping it's head up, caves or piers to explore and clear blue waters to play in, it’s easy to see why we love SUP!"